With the help of our dexterous engineers, we have come up with high-grade Multi Stage Air Compressor. Our offered range of these compressors includes air-cooled, electric motor or gasoline engine driven, single acting, compact, self-contained, single or two stages and automatically regulated receiver or base plate mounted. The cylinders of these compressors discharge compressed air that contains traces of oil as these compressors are lubricated with oil. These are widely acclaimed in the market for their low power consumption and maintenance, high performance, easy installation, reliability and long life. 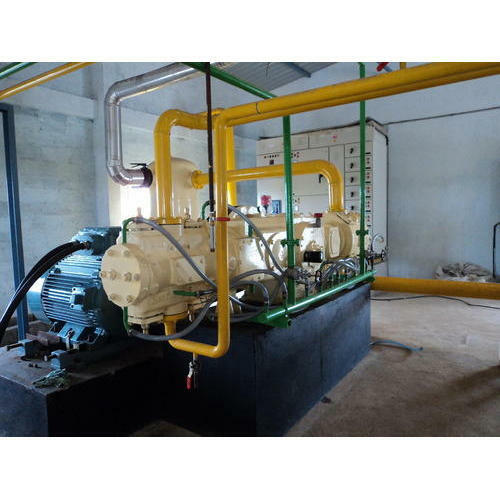 Multistage compressors are used in place of single stage compressors because if the compression is done in one stage, then the heat generated may be excessive and also the material of construction would have to be of a very high grade and possibly too expensive. Also, the power consumption of a single stage compressor would be higher. The compression of Air/Gas and the continuous sliding action of the piston within the cylinder causes heating of the cylinders. To reduce this heat, which could damage the piston as well as liners, water is circulated in a jacket around the cylinders, which can ensure proper cooling of the cylinders. Single or two stages, Single acting, Air-cooled, Compact, Self-contained, Automatically regulated receiver or base plate mounted, Electric motor or Gasoline Engine driven compressors.